Nobody likes to ponder their own death. However, death is inevitable (at least until someone makes some huge scientific breakthrough). If you die without a will, your assets, which includes your money, possessions, real estate, investments etc., get divvied up according to the laws that are in place when you die, without any regard for any wishes you may have had beforehand. By having a will in place, you get to decide how everything that you have worked so hard for will be distributed. The government has a default system in place for people who die without a will. Having a valid and enforceable will ensures that you are not stuck with the default regime established by the government. While the default regime might be ok for some people, it is rarely the best system for most people. Furthermore, the default regime might end up forcing your loved ones to go to court to try and sort out your affairs, thereby eroding the assets that should have gone to them. Your will sets out what happens to your assets when you die, including how to provide for underage children or other people who may be dependent on you. It allows you to do some pre-planning to try and reduce taxes on death. In addition, your will should include a plan setting out what happens in the event of a tragedy in which you and your close loved ones perish tragically at the same time. Your beneficiaries are the people or charities who will receive your assets on death. Your executor is the person/people (or company) that administers your estate; they pay your debts, collect your assets, pay any taxes you may owe and so on. The person you choose as executor should be someone you trust to handle your finances properly and to distribute your assets to your beneficiaries. You should also name an alternative executor in case your primary executor is unable or unwilling to act. Be careful about naming a foreign executor (being anyone who lives outside your province) as it may cause more headaches than it is worth. It is a good idea to speak with a lawyer before you write your will as they can help you plan your estate. 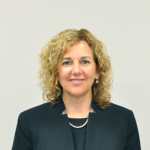 Your lawyer should be able to answer any questions that you may have and will help you navigate the legal side of death, making it easier for you to have peace of mind about the people left behind after you have passed away. A lawyer will help ensure that your will does not have errors, discrepancies, or ambiguities, with a view to reducing conflict surrounding your estate after your death. Your will is important because your final wishes matter. It is your decision what you do with your assets and finances and the will is a legal way of ensuring that things are divided according to what you want and not what someone else (i.e. the government) might provide for. 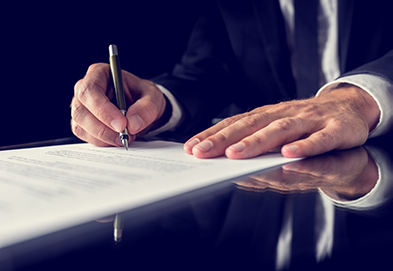 A will is a critical document which ensures that your wishes will be met after you pass away. Be sure to speak to a lawyer if you do not yet have a will, or if you have a will but have experienced any significant personal changes, or if it has been awhile since you last had your will updated. 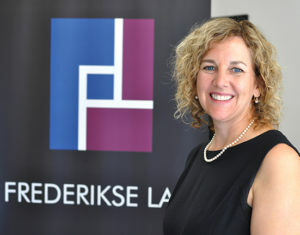 The team at Frederikse Law are ready to assist you! **Please note that contacting us does not create a solicitor and client relationship. Please do not provide any confidential information until you have formally retained us.